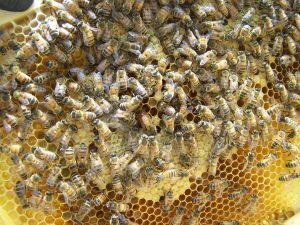 Be it an isolated area on the outskirts of the country or in New York City, the most exciting city in the world, there is no getting away from the troubles of pests, and Long Island’s Upton is no exception. Luckily for the residents of Upton though, there is a way of escaping these menaces: Suffolk County Pest Control! 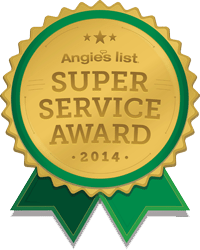 Offering exterminating services for pests which include bed bugs, rats, mice, ants, mosquitoes, spiders, bees, and moths in every single area code listed under Suffolk County of Long Island, NY, we simply are one of the best pest control services in the city. Why are we the best, though? What else do we have to offer that you may not be already getting from other pest control companies in Upton? So here it goes: you are not just potential clients for us. We care for you. 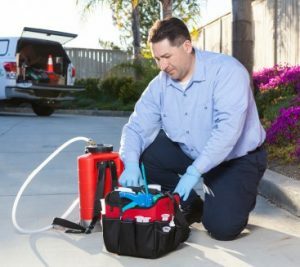 In addition to getting your house rid of pests and rodents, Suffolk County Pest Control technicians are also there to make sure that, like our clients, you are being made aware of the ways these pests got into your house in the first place. We also provide preventive measures such as protective barriers against pests, including sealing off and caulking up certain entry points. Let us consider one of the pests above whose extermination we provide as a service. Ants. It’s a relatively easy case encountering them while enjoying a park picnic in the spring, an entirely different one to find them in your house. Due to their incredibly tiny size, ants are easily able to enter houses through cracks and exposed wires. The challenge is what comes after the infiltration. Ants are likely to target food sources, especially those containing sweet, meats and bread. Their nesting areas include places such as your sinks, showers, and dishwashers. In addition to their two main acts of crime, that is, contaminating food sources and demolishing structures, ants also give bites, painful, itchy bites. Call Suffolk County Pest Control today if you wish to be rid of this pest. 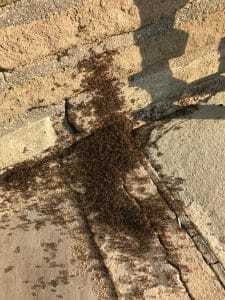 Our highly skilled team of exterminators will be easily able to identify the type of ant that is causing all this torment and what specific treatment is required as a solution to this problem. As mentioned above, we do offer protective barriers as prevention measures. However, the best way to avoid a pest infestation is to be aware. Knowledge is the key here. We encourage our clients to ask the technicians we send to their homes any questions regarding the entire operation. What can you do mitigate the problem? How to understand if you are in need of an exterminating service? Let us go back to ants. What are the best ways to prevent an ant infestation from occurring at all? Anthills and mounds usually start to develop in yards. To stunt the growth in the process, you may remove standing water around your house area, cut down or trim the tree branches near your house and make sure that firewood is not stored next to your living area. However, in case of an ant infestation already in the process, do not hesitate to contact Suffolk County Pest Control as soon as possible. Pest Control Upton: Call Us Today! Be it ants or bed bugs or even rodents such as rats or mice; our hotline service is open 24/7 for you. Even if you do not wish to call us for our services, our hotline operators are happy to and fully prepared to answer any query you may have about a possible pest infestation. Call us today, tomorrow, anytime!